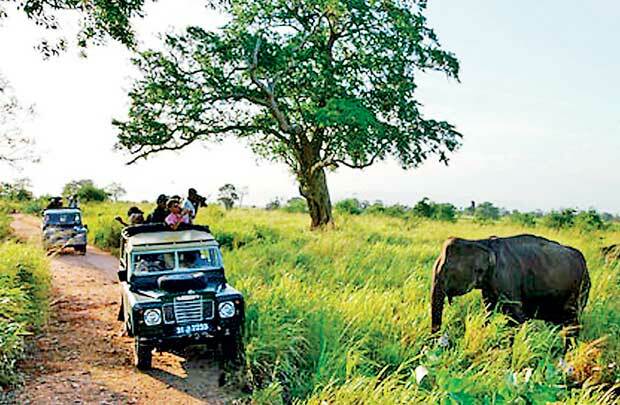 Daily Mirror - How important is tourism for Sri Lanka’s development? Following is the keynote address by Srilal Miththapala, delivered at the Institute of Hospitality Sri Lanka Chapter’s 17th Annual Chairman’s Black Tie Dinner. From time immemorial, Sri Lanka has been known for its hospitality, and through the ages, visitors have paid tribute to its natural wonders. It was in the early 1960’s, that tourism was formally recognized as an industry, and thereafter, subsequent governments placed emphasis on the development of tourism, by branding it by many impressive names including, ‘Sri Lanka’s Thrust Industry’, ‘ Engine of Growth’ to name but a few. However, there was no proper strategic development and follow up, and these superlatives ended mostly as ‘lip service’. The real development that has actually taken place in the tourism industry has been spearheaded by the private sector. 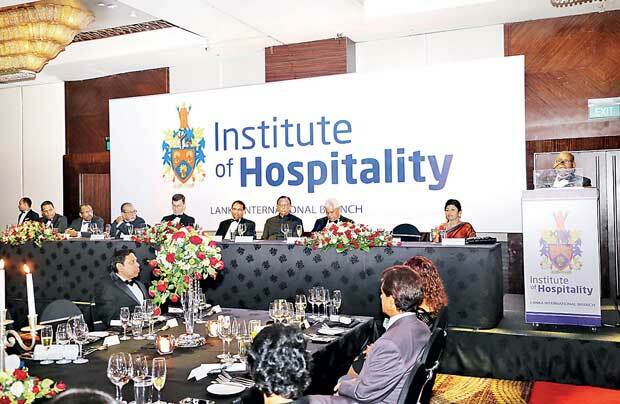 It is in this context, that I felt it would be an interesting to dwell upon the real importance of tourism for Sri Lanka’s development, and what this industry really means to our economy, at this important and much looked forward event of the Institute of Hospitality, Sri Lanka Chapter. A few quick words about World tourism first. Tourism is the world’s largest and fastest growing industry today, with the year 2014 recording over 1 billion tourists, generating US$ 1.2 trillion revenue and accounting for almost 10 percent of the global GDP, while, 1 in 11 jobs worldwide were tourism related. In spite of periodic setbacks and disasters, including 9/11 and SAARS epidemic, tourism has continued to grow at about 4-5% year on year, with Asia growing the fastest at around 6 percent. This worldwide trend was not able to manifest itself in Sri Lanka, due to the long and protracted 25+ years of internal strife, and it was only after 2008 that the real growth of Sri Lanka tourism was witnessed. 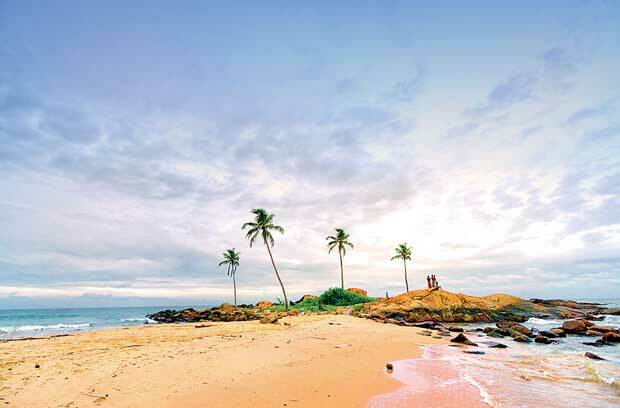 It is important however to remember that during the most difficult period of the strife, Sri Lanka tourism still managed to keep afloat, and arrivals never dropped below 450,000 in any year during that period. This speaks volumes for the resilience and tenacity of the tourism industry professionals. After 2008, we have seen strong year on year, double digit-growth in arrivals, which today stands at close upon 1.6 m as at October 2015. There is no doubt whatsoever, that there is strong growth, even though there is a 15-20 percent diaspora and Visiting Friends and Relatives (VFR) segment ‘leakage’ in these numbers. Hotel professionals know that occupancy (arrivals) and rates are closely related, similar to the market forces of supply and demand. Usually when rates go down, demand will increase, fuelling higher occupancy and vice versa. However, very interestingly in the case of Sri Lanka, it is seen that both occupancy and earnings are increasing at the same pace. From around USD 500,000 earnings in foreign exchange (forex) in 2010, earnings today exceed US$ 2.2 billion. 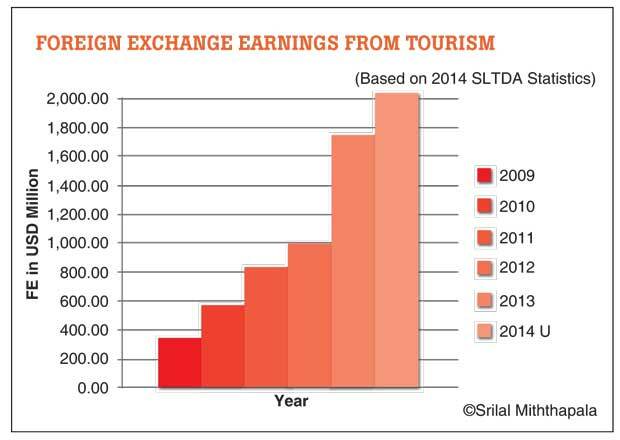 At one time, Sri Lanka tourism was the 6th largest forex earner to the country, but today it has climbed to the No.3 spot, preceded only by the Apparel industry and Worker Remittances. The less spoken about the Worker Remittances the better, where Sri Lankan young woman toil under arduous and sometimes inhuman conditions, to bring in this valuable and much needed forex to the country. Sri Lanka tourism on the other hand, derives this forex directly at the point of consumption in the country, with a very high value added component. Hence, first and foremost, it is obvious that Sri Lanka tourism generates a major component of much needed forex to the country. Let us now turn to the hotel infrastructure of the country. According to the Sri Lanka Tourism Development Authority (SLTDA) statistics of 2014, there were 18,510 rooms in the formal star classified hotel sector. In addition, there are 9,916 supplementary rooms, which comprises of guest houses, boutique and other registered accommodation units, making a total of 28,426 accommodation units in the country. In preparing preliminary feasibility studies for hotel developments, it is the practice to use a norm of total building and equipping costs per room, to assess the total capital expenditure to be incurred for the development. This ‘per room’ or ‘per key’ cost includes all other public areas as well, but usually excludes land. Currently, these costs are estimated to be in the order of Rs.27.5 m per room for a five star class hotel, Rs.22 m for a four star class hotel, Rs.12.5 m for a three star class hotel, Rs.8 m for a two star class, about Rs. 5 m for a one star class and Rs.35 m per room for a boutique hotel. If the total available room stock of 28,426 is broken down into different classifications, and the respective per room cost applied, the approximate total current investment in hotels in Sri Lanka would work out to around US$ 2.2 billion (Rs.310 billion). The SLTDA information on new hotel projects approved as at May 2015 indicates that another 11,591 rooms will be added in the next few years. If these rooms are also classified into different grades, and the same exercise done as earlier, the new value of these rooms will amount to approximately US$ 1.4 billion (the somewhat higher figure is due to the larger number of five star category rooms in the pipeline). Therefore, in total, in the next few years, one can expect, on a very approximate but conservative basis, the total replacement value of hotels in the country to be around US$ 3.6 billion, without land value. Sri Lanka’s GDP stands at around US$ 76 billion, which means that the direct hotel investments amount to close to 5 percent of the country’s GDP. It is a well-known fact that considerable peripheral infrastructure development takes place with the development of hotels. Electricity supply in the area is enhanced, roads are developed and other services such as medical facilities and transport begin improving. This is in particular important when hotels come up in less developed regions, which then helps much needed uplifting of the region, as well as the livelihoods of people living there. Hence, it is quite obvious that the development and growth of tourism, and in particular hotels, help the country’s overall infrastructure development and growth significantly. The third area where Sri Lanka tourism plays a vital role is in the area of employment generation. However, much ‘high-tech’ may invade the tourism industry, it will, and should always remain a ‘high-touch’ industry. No amount of technology can ever substitute for the warm hospitality and friendliness of the staff. It is precisely these characteristics, more prevalent in the Asian region due to its inherent culture, that it is spearheading the growth of tourism in the Asian region. Sri Lanka is no exception, and our warm smile and hospitality has been our hallmark characteristic that has differentiated our product offering over the years. Therefore, the tourism industry will always need a large number of properly trained staff to man the industry. 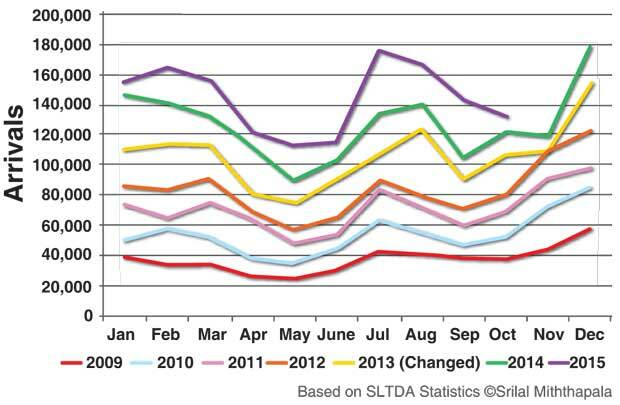 The SLTDA statistics indicates that there are close upon 130,000 staff working in the hospitality industry today. However, it is a well-known fact that the industry generates a large number of peripheral job opportunities in the informal sector. This is particularly prevalent in all Asian countries, where the ‘trickle-down effect’ and ‘multiplier effect’ is quite substantial. It is estimated that for each US$ 1 spent in the formal sector, there could be another US$ 2-3 being spent in the informal sector in some Asian countries. In a similar fashion, the indirect sector provides peripheral employment to a wide cross section of people, such as suppliers of various food and other amenities to the hotel, ancillary services, entertainers, bands, transport providers etc. The SLTDA estimates that this informal segment could be around 170,000 in 2014, which then translates to a total direct and indirect employment in the industry of close upon 300,000 people. If these 300,000 people serviced the total arrivals in 2014 of 1.5 m tourists, a simple arithmetical calculation will indicate that very approximately, close upon 500,000 people will be required in both the direct and indirect sectors, to service the targeted 2.5 m tourists in the near future. This is no doubt a simplified estimate and to assess the actual requirement, further detailed study and forecasting will have to be done, which will largely depend on the type of tourism development in the future. Eg. If more higher graded five star and boutique hotels are developed, this ratio may in fact increase. However, whatever the case may be, there is no doubt that the hotel industry will always need a large number of staff, and thus becomes an industry, which can generate much needed employment opportunities in the country. In Sri Lanka, most often the family unit has only a single bread winner. Therefore, if one assumes that the family unit comprises of 4-5 people with single bread winner, these 500,000 people employed in the industry will impact the lives of more than 2 m people of this country in one way or the other – approximately 9% of the population. It is also seen that due to the geographic spread of tourism, most of these employment opportunities arise in widely dispersed less developed areas of the country. Hence, the provision of employment opportunities in and around hotels, situated in economically less developed areas, help in the elevation of poverty of the region as well, by providing benefits and livelihoods. In fact, this has been identified as one of the strongest areas by which tourism helps the socio economic development of a country, especially in the developing and emerging countries, and is called ‘pro poor tourism’, where as many benefits as possible from the development is sustained and distributed in the area itself. Tourism also can have a great impact on the natural environment of the country. Sri Lanka is truly blessed with one of the most diverse and unique natural environments in an island of our size. We have over 3,300 plant species, 80 mammals, 480 bird species, 66 amphibians, 180 reptiles and 240 butterfly species, with very high percentage of endemism. We boast of being the only country in the world where one can view the largest terrestrial animal on earth, the elephant, and the largest animal that even lived on earth, the Blue Whale. We also have the largest density of Asian elephants in the wild, and Yala is said to have one of the highest density of leopards. This range of spectacular flora and fauna prevalent in the country, backed by its rich 2,500 year old history and culture, therefore makes Sri Lanka a very unique tourism destination. Milton Ellsworth, one of the founding fathers of tourism has said that to make a hotel development succeeded, there are three aspects to focus on - Location… location and location. Hence, in the desire to create more unique tourism offerings, we are often guilty in seeking out pristine environments for developments. We single out the unspoiled beach, the rural village and paddy field to develop our products. It is precisely because of this that all tourism development should take place in a responsible manner, giving priority to nurturing, protecting and enhancing the environment. If the environment is damaged or destroyed, we would be guilty of killing the goose that lays the golden eggs. More importantly, we would be guilty of having destroyed the wonderful gift of nature bequeathed to us by the Creator, and for having prevented our children from enjoying it. If properly managed and responsibly implemented, tourism can in fact be an avenue by which wildlife, nature and environment is preserved and nurtured. Some years back, for the first time, the entire industry together with several marketing professionals and academics, got together and developed what was possibly the best positioning concept for Sri Lanka tourism as ‘Asia’s most Diverse, Authentic and Compact Island’. In my view, this encapsulates the very essence of sustainability and Sri Lanka tourism positioning, and should be the bedrock and foundation of all tourism development in Sri Lanka. Therefore, in conclusion, it is quite evident from the foregoing that tourism can play a major role in the socio economic development of Sri Lanka and its people. At the same time, tourism can lead the way to help preserve, nurture and develop the pristine environment, and rich culture of Sri Lanka, to ensure proper and sustainable growth, which will benefit the entire country and its people.